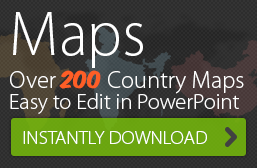 We market our presentation services on 24point0, a group website of Chillibreeze Solutions Pvt. Ltd.
1. What is the legal name of your company? What is the company ownership structure? 2. What is the address of your company, and who is the point of contact for a contract arrangement? 3. How many years has Chillibreeze been in business? 4. Please describe your typical account management team. Do you provide dedicated support? Describe how you ensure coverage across all US time zones. 5. What are the options for account models with your organization? Do you recommend alternative account models for specific clients? 6. Please provide a sample workflow from client request to deliverable delivery from your other clients. What are the standard turn-around times? Are there different workflows for simpler requests versus more complex engagements? 7. How do you manage PO consumption? Can you set up billing codes or purchase orders for multiple business lines within a single client? Are you able to split billing for a project across multiple business lines? 8. How do you handle urgent requests? Is there an additional fee for short turnarounds? Describe any start-up fees associated with your services. 9. What do you expect in terms of time commitment and resources from your clients for implementation? 10. How do you ensure the most up-to-date client content is used in the deliverables? 11. Describe the process for how a client may be expected to work with you in updating content when organizational changes (for example, new branding guidelines or new additions to content library) happen. 12 How does technology support the process? Do you have a content management system for your clients’ content? If so, do clients have access to the system? Is there a fee for use? 13. Who are your primary competitors, and what are your main differentiators compared to their offerings? 14. Is your company a certified minority or women-owned business? The legal name of our company is Chillibreeze Solutions Pvt. Ltd. Our company is a Private Limited company registered under the Companies’ Act, 1956 of India. The Company is managed by four Directors who are also the only shareholders. Three of them are women. It was registered as a Private Limited company on September 15th, 2006. However, the business has been in operation from March 2004 through our website www.chillibreeze.com. Preferred customers have access to the Head of our PowerPoint department to ensure customer satisfaction. This reduces, if not removes, the chance of crisis situations arising. Therefore, if a contract has a large volume of work that requires full time attention, then we can assign a dedicated management team to the customer account. At present we only cover the Indian time zone. Our office hours are 9 am to 6 pm (Indian Standard Time) – Monday to Friday and half day on Saturday. We do not work on Sundays (IST). However we are open to the idea of covering US and other time zones, if a customer requires it. We can also set up systems to cover other time zones. Please specify the time zones and the hours to cover and we can discuss setting up a dedicated management team to meet your needs. Setting up resource teams to work outside of our normal working hours would entail additional administrative support. Hence, Chillibreeze would need a minimum two years’ contract and two months lead time to set up this additional work/time coverage. We provide dedicated support when the client has an ongoing requirement. This helps in delivering better quality and improves efficiency. We are very open to discussing account models that suit our customers’ requirements. We are flexible and want to learn from our customers as to what would work best for their needs and their team. Once we get familiar with the exact needs of our clients, we will be in a better position to recommend a model! Client #1 (Client #1 uses a CMS system and once done we post the report or project in their system for them to pick up and finalize. They use Basecamp to upload projects that need formatting, according to their corporate style guide. Once a report is completed, we post the projects back in Basecamp for the client to pick up. Client #1 also uses Zoho for reports that are smaller in size and for those that belong to a different division than the ones in Basecamp. This eases our workflow process knowing that we use two different systems for separate divisions of work. We started with this Seattle-based consulting company in Dec. 2005. This firm has close to 20 senior consultants. At any given day at least one of these consultants sends work to us via email. The time difference proves advantageous to them and to us. We receive the work before our office opens in India and deliver the output at the end of the day. This works especially well for this firm as they get their work done overnight. On a busy day, we have had to deal with up to five consultants working on five different projects, with all of them requiring a next day turnaround. When this global consulting firm underwent a change in their branding, Chillibreeze was selected to work on the re-branding exercise – to convert their PowerPoint presentations and whitepapers from old look to the new. This work required two full time employees and one Project Manager. The work was started in Sep. 2006 and a one year contract was in place. At the end of the one year, with most of the work having been completed, the contract was reduced to one Full Time Employee (FTE). The contract ended in Feb. 2010, as this firm no longer required an FTE. Our work relationship, though, still continues with a monthly billing based on actual hours worked. Simple Vs Complex engagements: Most of the processes are the same for both simple and complex engagements. In case of a requirement that scores very high on complexity, we find that it helps to have periodical team meetings to review progress and to clear doubts. We also request more interaction from the clients. There is no distinction in the way we receive the files, whether simple or complex because the standard procedure is by email or a CMS system. Our accounting system offers us the flexibility of both. We can issue invoices against purchase orders from multiple lines from the same client. We can also split the billing for a project (which may be as one PO) across multiple business lines. If it is easier for our clients to issue a single PO, then we can manage all multiple requests within it. We will use one of our online tracking systems to track consumption of the PO across divisions. Our accounting software too helps us track the consumption in a combined PO as long as we have a client code assigned. So, to explain this further, we will continue working on a project until we expend the PO amount mentioned in the agreement with the client. For example, if we have a PO limit for $10,000 – we will execute projects till the PO limit is exhausted. We can set up billing codes and split billing if required and raise separate invoices for each project, if that is what a particular client wants. To know more about our rates and pricing structure complete our form stating your specific requests. The 24point0 sales manager will get back to you. Urgent Requests/short turnarounds: We are adept at handling urgent requests. For urgent or one-off requests, outside of our regular working hours, our charges are billed at time and a half. Start-up fees: If the deliverable requires special training / orientation, then Chillibreeze will bill this training as part of the contract. If a client directs Chillibreeze to set up a 3rd party CMS, then we will charge a set-up fee that will enable us to instate a project manager who will build and organize the workflow process. Monthly fees thereafter will be billed to the client. Expectations from the client: We have found through experience that a trusting relationship is built over time and starts with clear expectations. Chillibreeze prefers long term contracts and for us to set up a dedicated management team, we require that the contract be for a minimum of 12 months. Our customers also benefit a great deal from long term relationships as they become preferred customers and can quickly access our other services. Once our staff and management team know their needs, we become a “virtual extension” of their enterprise. We use version control systems. The addition of version numbers and dates to file names are vital as this ensures that we are using the most up-to-date content. When replying to an email, we also make sure that we “reply all” so that every recipient has the updated file. This is especially critical when more people are involved in the project. Process to follow to accommodate organizational changes: To cite Client #3 as an example; the company had sent us their brand guidelines that we needed to follow while working on PPT decks. Using this guideline, we had created a Quality Control check-list to make sure that all the guidelines were being followed. When the guideline was updated, we had also updated our own QC list, thus ensuring that, going forward all new changes were incorporated. Provide adequate guidance/orientation, where needed. We use Basecamp and Zoho for different activities and there are no charges for clients who use these from within our account. At times clients invite us to use their own CMS and we accommodate the request. Basecamp is a project management system and is used by one of our clients to send work, for communication and for uploading InDesign files and large bulk files. The same client uses Zoho to post the Sector Reports as Word documents. After we complete processing the work, we upload the files to Zoho and inform our clients of the status through Basecamp rather than sending them an email. This is only an example of how we use these systems for a client. Using both Basecamp and Zoho is relatively convenient and simple for us. The main purpose is to make the work flow more efficient and faster. If a new system needs to be set up for our contract with a particular client, then we will do so and bill you accordingly. Primary competitors: We primarily look only at India when we consider our competitors. But our customized service offerings are such that we are a bit different. This makes it hard for us to identify others doing the exact same thing. Hence, to be very honest, we do not have an exhaustive list of all our competitors! Adding Value: We ensure that all our customers receive value for the rates they pay. 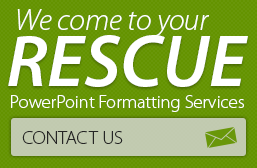 Focus: We focus on PowerPoint and Document makeover services. Professional art division: Our digital artists can render icons, drawings, diagrams and maps all natively drawn in PowerPoint or any other vector application. Women-owned business: Our Company is registered in India where such certifications are not issued. Upon request, we can send you the names of our shareholders, three of who are women. To elaborate: Our company is managed by four Directors, who are also the shareholders. Three of them are women. So the majority shareholding is by women. Our staff comprises of 70% women and 67% belong to the minority group (what is referred to as ‘Scheduled Tribe’ in India). Our company intentionally set up our headquarters and registered the company in an underdeveloped state of India. Our vision was to create jobs in an area marked by high unemployment and lack of opportunity with a dream to become the best company to work for in North East India.